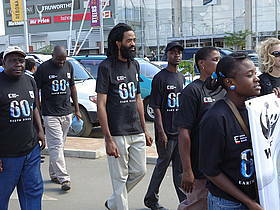 Earth Hour in Zambia has been organised by WWF Zambia Country Office since 2009. Todate Earth Hour has continued receiving support and goodwill in Zambia from various individuals, households, communities, government institutions and the private sector. In 2009, WWF Zambia organised a match past to which was graced by former president Kenneth Kaunda to sensitise the public about Earth Hour. Earth Hour is a global campaign for the planet urging individuals, households, communities, government institutions and the business sector to switch off non-essential lights on the last saturday of March every year at 20:30 hours. In 2011, Earth Hour received support from the Zambia Electricity Supply Corporation(ZESCO), a strategic partner in the campaign for the planet in Zambia. Earth Hour got endorsement from ZESCO's 'Switch Off and Save Campaign' programme which encourages customers to conserve power by switching off non-essential appliances and lights. Earth Hour has also recieved massive support from the hospitality industry bringing together hotels such as Intercontinental hotel, Taj Pamodzi Hotel, Golden Bridge Hotel and Raddison Blu Hotel among others. 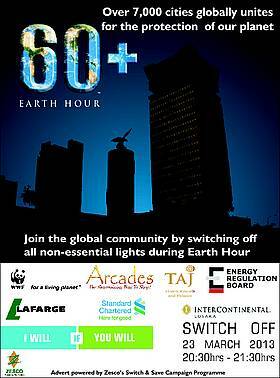 Other partners in the private sector who have come aboard to support and participate in the Earth Hour campaigns in Zambia include Lafarge Cement Zambia, Standard Chartered Bank and media organisations. 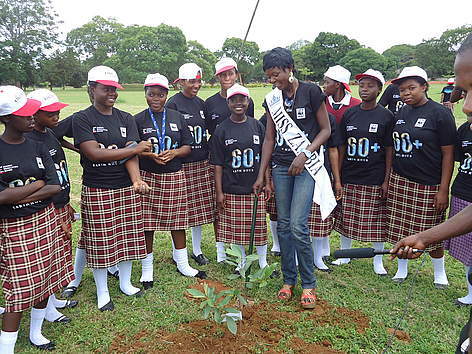 In 2012, WWF Zambia partnered with Miss Zambia as Earth Hour Ambassador. In her I will If you will challenge, she promised to plant 200 trees if all Zambians turned off their non-essential lights during Earth Hour. Since 2012, WWF Zambia Country Office received support and endorsement for the Earth Hour campaign from the nation's energy sector regulator, the Energy Regulation Board(ERB). Earth Hour 2013 saw the darkening of the Energy Regulation House, a state of art facility, built and designed to save energy by harnessing renewable energy sources such as natural lighting and solar power. 2013 also saw the participation and endorsement of the Earth Hour campaign by Arcades Centre Management and Radisson Blu Hotel. Earth Hour has by 2013 become the biggest campaign for the planet observed by over 7,000 cities globally. Earth Hour has become one of the biggest campaigns for the planet bringing together individuals, households, communities and business houses for one thing- Our Planet. In 2013, WWF Zambia participated in a match past for World Water Day on the 22nd March 2013 to raise awareness about Earth Hour. Samson Mutambo, musician, climate change advocate and Earth Hour ambassador joined WWF Zambia Country Office staff in the match past.